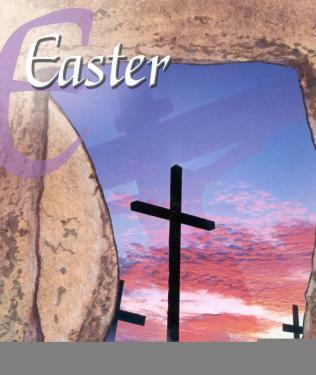 Cornerstone Blog: Come Celebrate the Resurrection of Jesus, Easter Sunday! Sunrise Service 7AM, Breakfast 8AM, Choir Musical 10:30 AM! Come Celebrate the Resurrection of Jesus, Easter Sunday! Sunrise Service 7AM, Breakfast 8AM, Choir Musical 10:30 AM! We have an exciting day ahead this coming Sunday - Easter Sunday! It is the glorious time when together we focus on celebrating the Resurrection of Jesus Christ from the dead. Because Jesus is alive, He is able to give life to any person who will put their faith and trust in Him. Jesus died for you and me, but He did not only die. He arose! What He accomplished when He came out of that tomb has changed the destiny of all who trust in Him! This Sunday, April 5, we will begin with a 7:00 AM Easter Sunrise Service! I hope you and your family will come to praise and celebrate the Resurrection of our Lord. Then, at 8:00 AM, we will eat a wonderful breakfast together prepared and served by the men of our church. They will arrive around 5:00 AM to start cooking! After breakfast at around 8:45 AM, an Easter Egg Hunt for children will be held inside the building. Sunday Bible Study will begin as usual at 9:30 AM, and our 10:30 AM Morning Worship Service will feature an Easter Musical presented by our Choir that focuses on our Lord's victory on the cross and with the empty tomb. It promises to be a great day! I hope you can share it with us. We'll see you Sunday! The Lord is Risen!